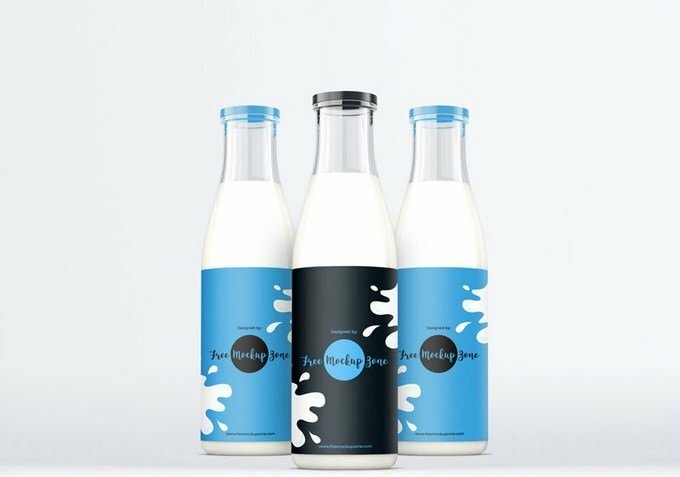 Are you or your client in beverages (milk, Wine, Juice etc.) related business ? 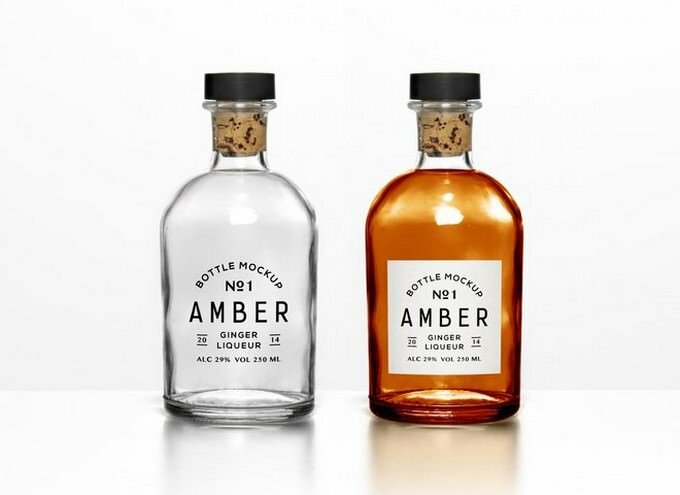 If you haven’t got the best glass bottle design yet, you should see this list of glass bottle mockups to refresh your brand’s packaging bottle design. 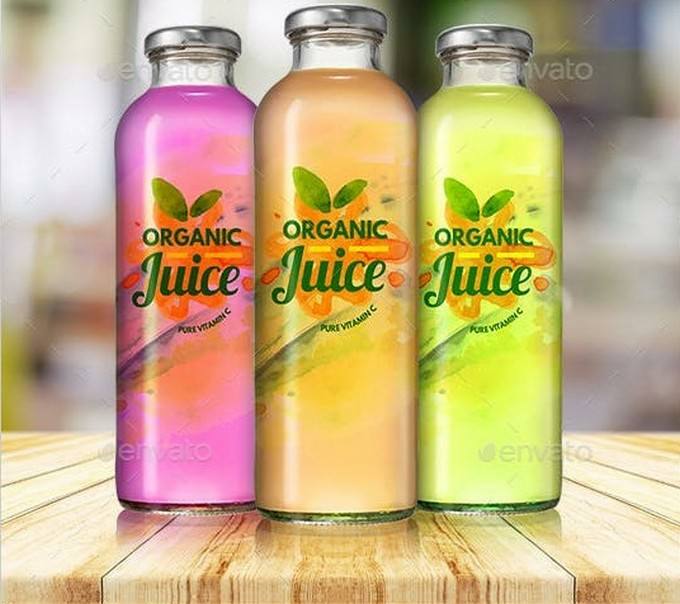 Glass bottle is one of the most secure method for beverage packaging to keep product’s strength, aroma, and flavor as it is, It preserve the flavor of your liquid product much longer than other types of packaging. This is because the material is less likely to allow contents to mix with air or an almost zero rate of chemical interaction. 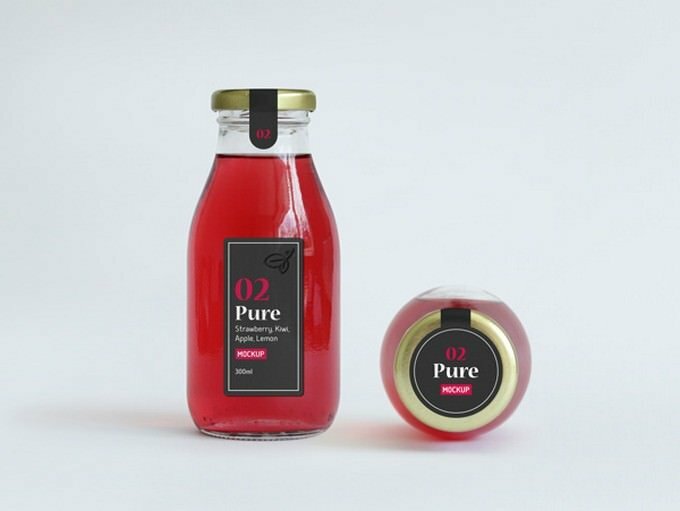 We put so much effort into making brand look and taste perfect, so packaging design play an important role to emerge any brand. 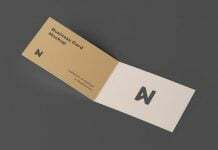 For this post, we have list of best glass mottle mockups to present your design in tasteful way. 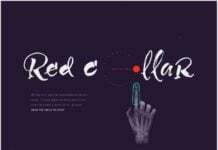 In order to streamline the presentation process for your professionally designed glass bottle’s, In this collection, you can find different ways of displaying your glass bottle design. All these templates come with high quality design and can be easily customized as per your preference. 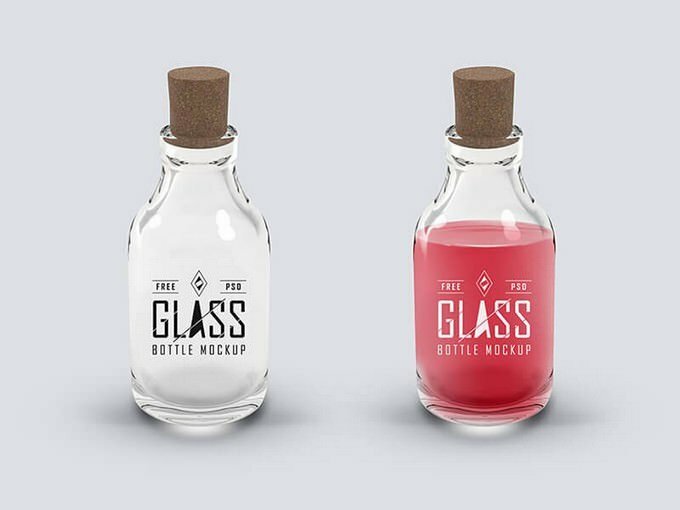 Download the finest glass bottle mockup you will find in this list and enjoy! 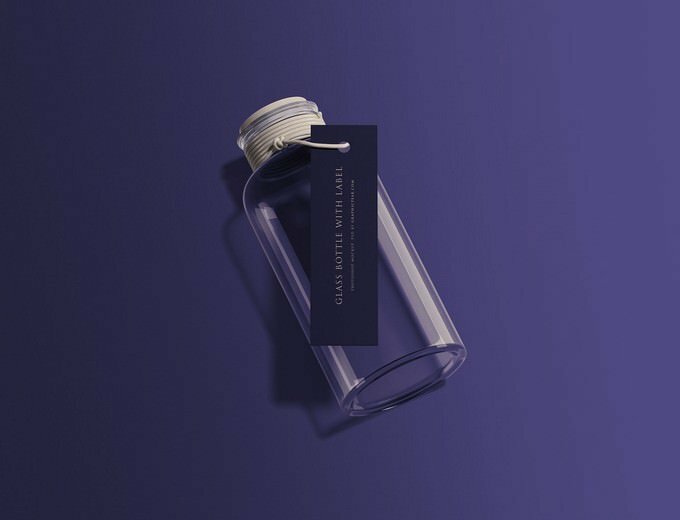 This is a beautiful glass bottle mockup with hanging tag which you can easily customize inside Photoshop using smart object layers. 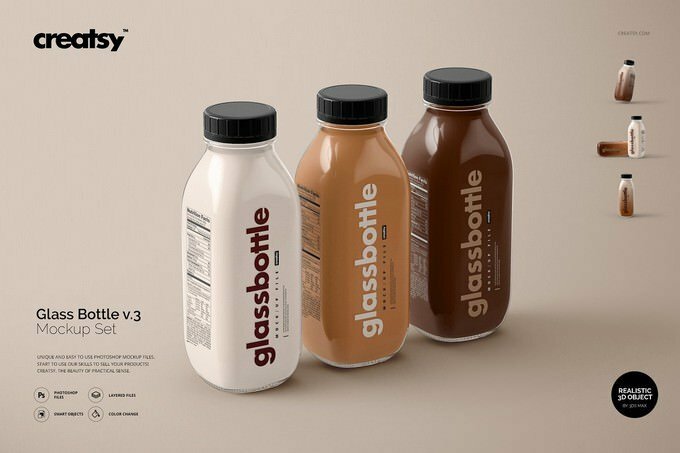 Glass bottle play an essential part in your branding. 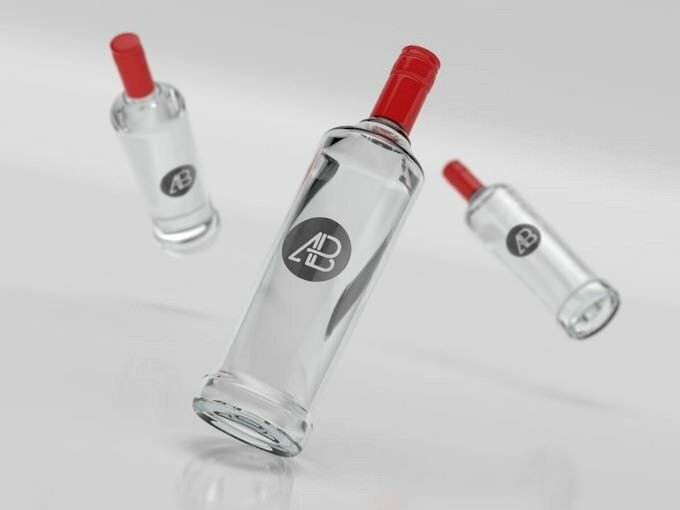 As people become familiar with your logo or company name on those glass bottle, they would likely remember your brand. So, never miss adding an awesome logo to your bottle. 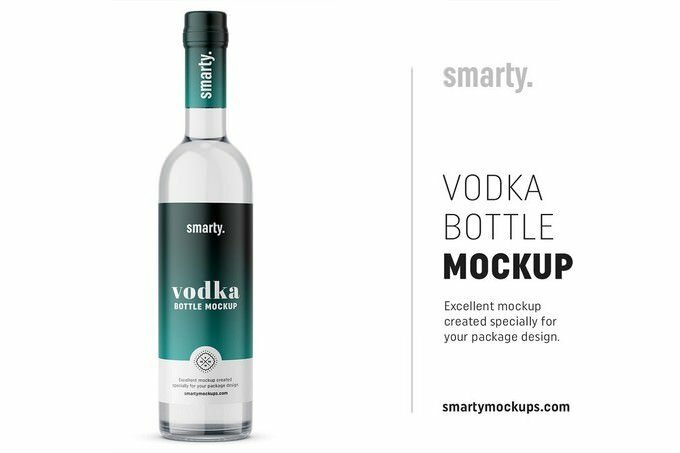 Here’s a regular vodka bottle mockup that you can use for the presentation of your vodka bottle designs. 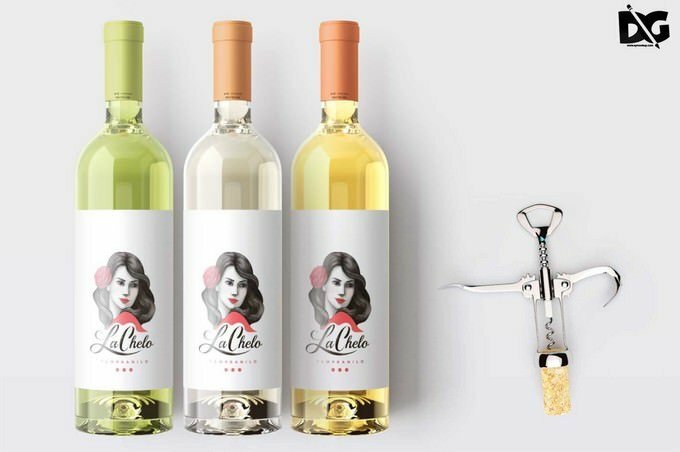 Specifically, you can add and change label of bottle and customize the bottle to match with your designs. 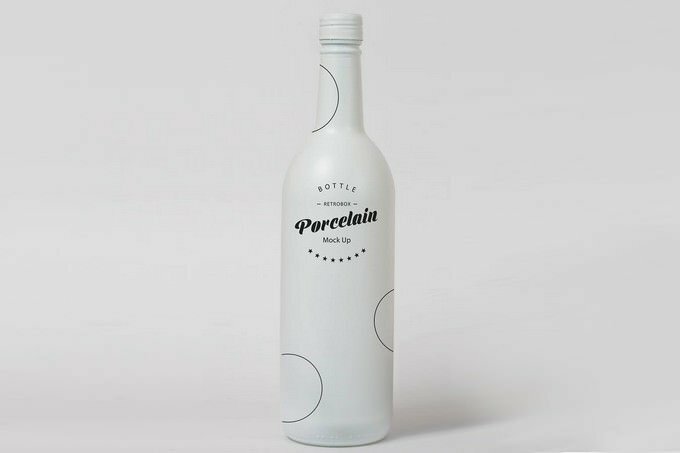 This unique and beautiful wine glass bottle mockup template features a realistic bottle design that you can use to present your wine bottle branding designs. 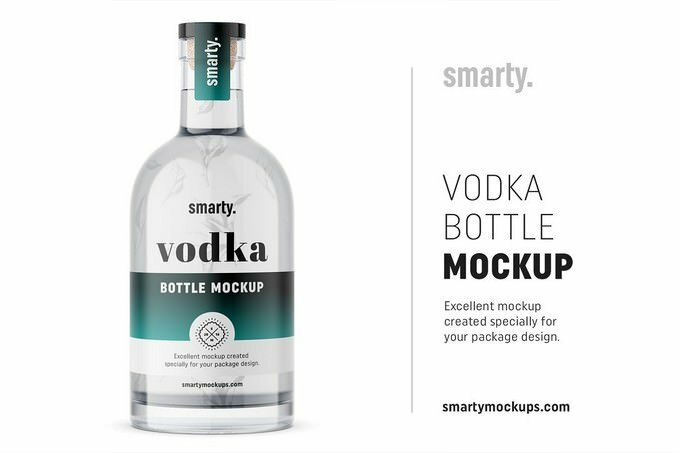 The mockup comes in an easily editable Photoshop file with smart objects. 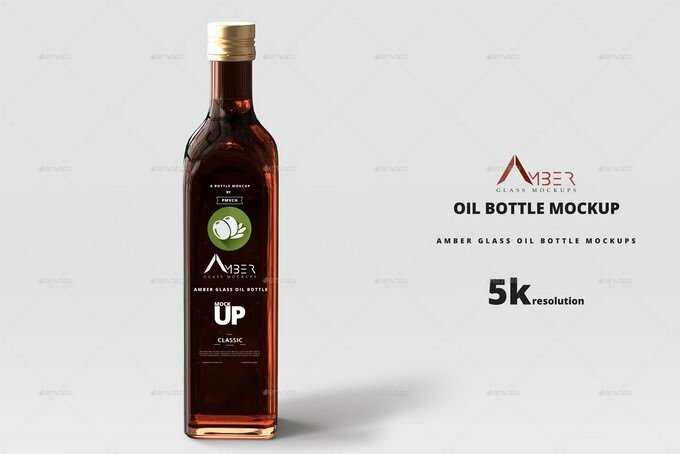 A high-resolution small glass bottle mockup you can use to present and promote different types of label and packaging designs. For a flawless presentation, just place your design in the smart layer and change the background if needed. 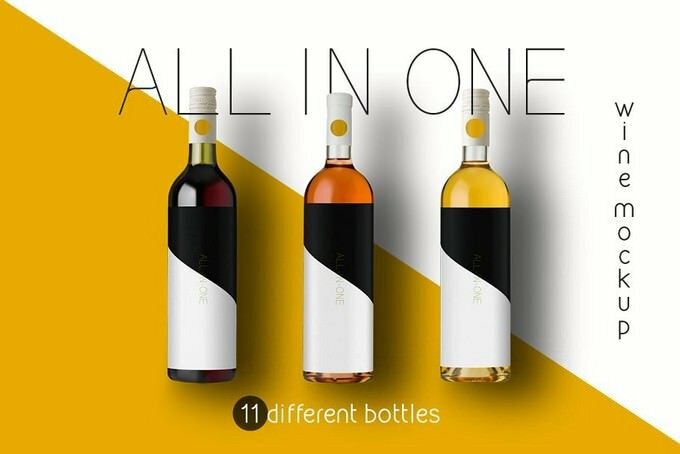 A set of 11 unique all in one wine glass bottle Mockup featuring white, rosé and red wine bottles with bordeaux and burgundy shapes. The mockup PSDs arrive fully-layered with smart objects, changeable style, color and design, and shadows. Each template came with 7400 x 5800px resolution size. 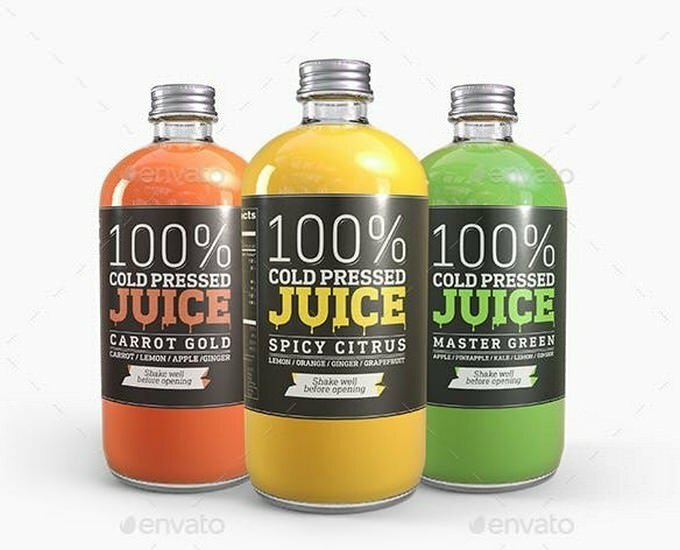 This mockup features a versatile design of a pack of juice glass bottles. 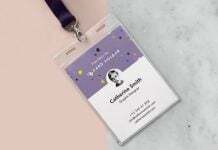 You can easily edit and customize this design to convert your regular work on your amazing work. The mockup comes in 3 PSD files with organized layers and smart objects. 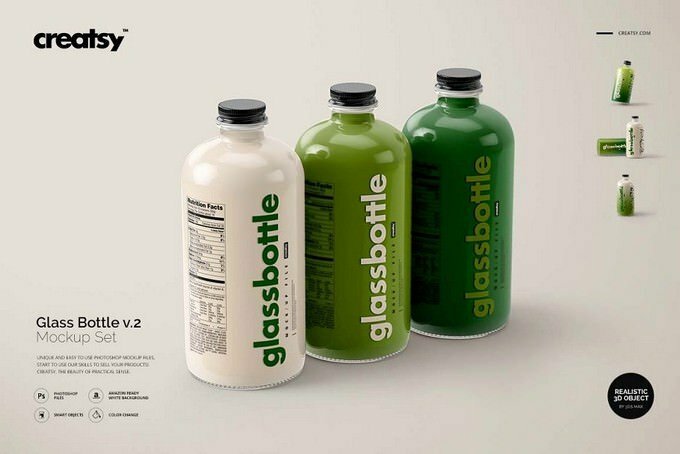 A set of glass bottle mockups for promoting and presenting preserved beverage products. This bundle comes with 4 different PSD files with 5 different views. 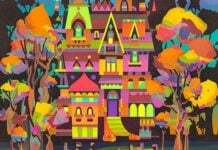 It is available in 5250 x 3500 PX resolution. 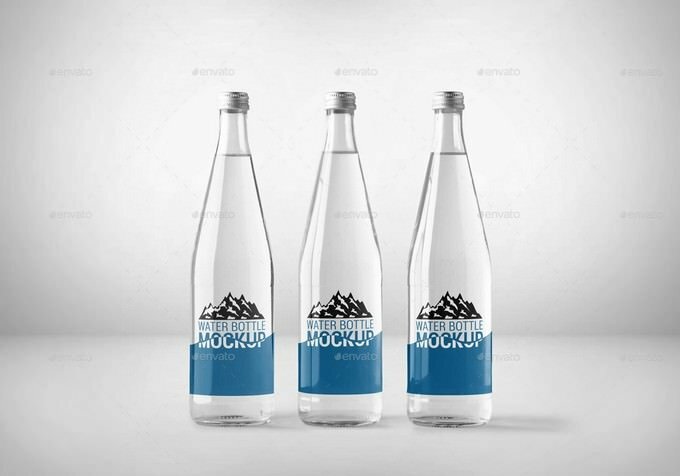 Another bundle of photorealistic, clean and easy to use glass bottle mockup featuring rounded design. 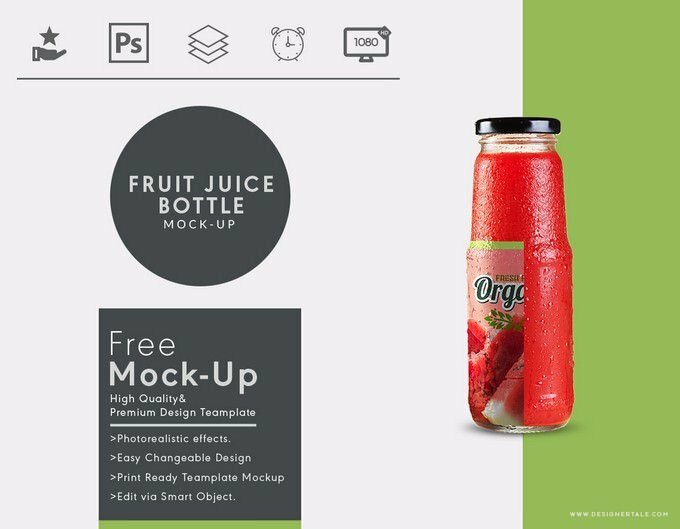 You’ll have plenty of ways to showcase your juice bottle with this mockups template pack. 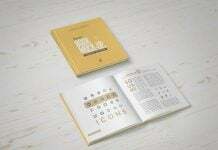 It includes 6 psd files with 1 Pdf Guide. 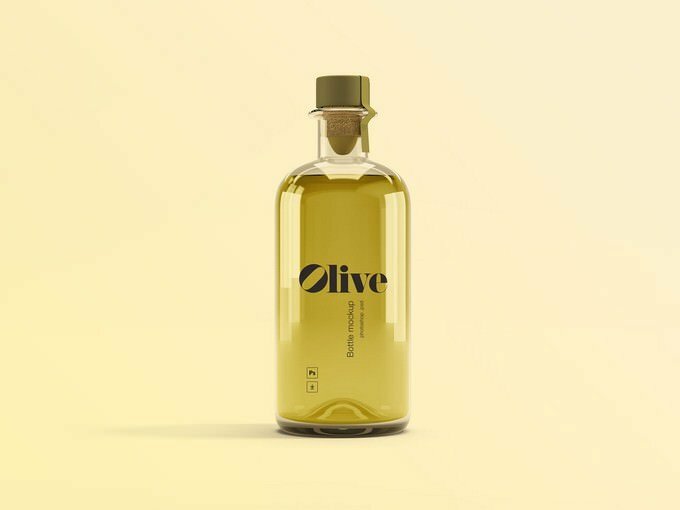 A classic photoshop made olive bottle which you can customize in evey way you imagine. 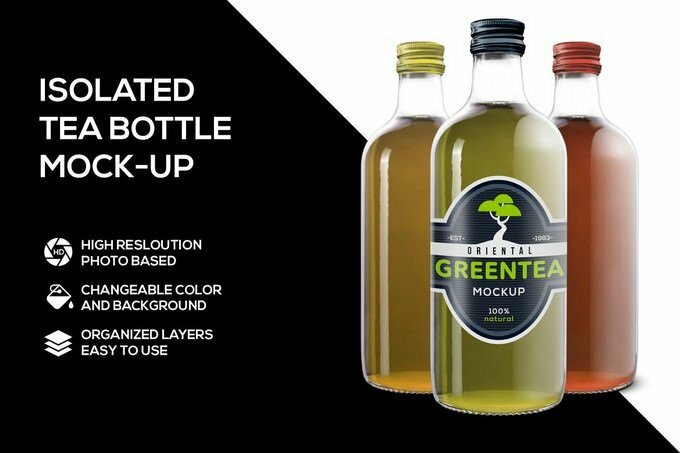 Aside from changing the label design, you’ll be able to change the oil color, bottle tone, lights, highlights, cap color, shadows as well as adding your final touches with a ready-made beautiful filters. 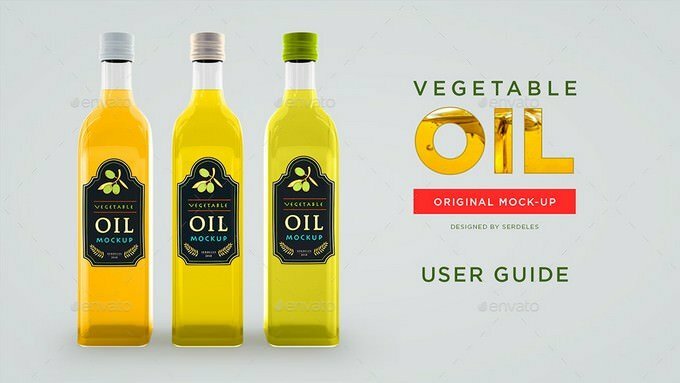 Vegetable Oil Glass Bottle Mockup includes 6 PSD high sized files. Different views and quantities. There are 2 files with big and small bottles together with different views. Every image is 5000×5000 px. Simple and clear User Guide included. This is a hi-resolution and hi-detailed render of amber glass oil bottle. 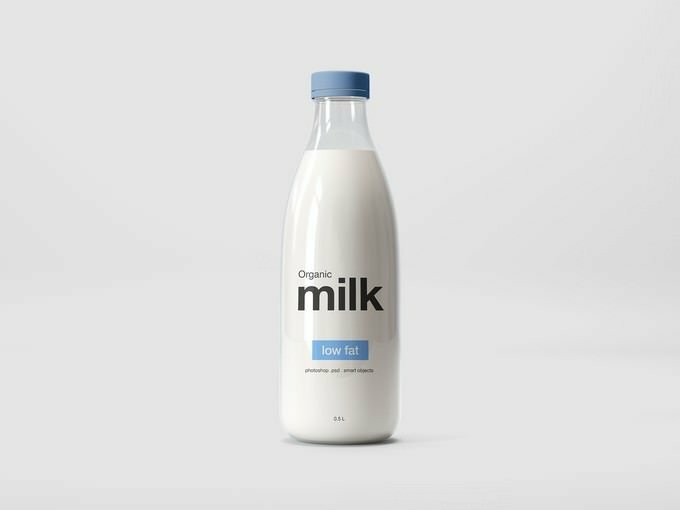 made to use as a product mockup in photoshop. 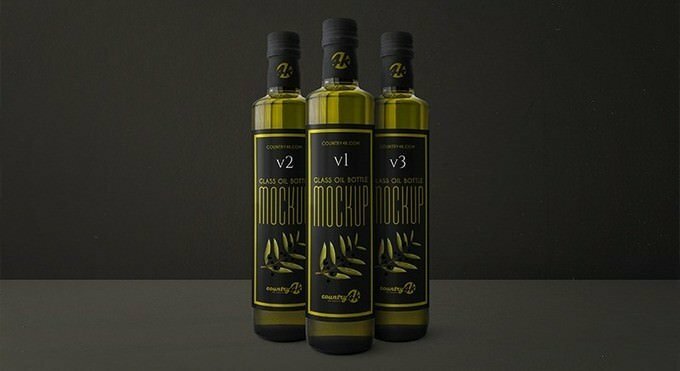 you can use this mock-up to showcase your own products. 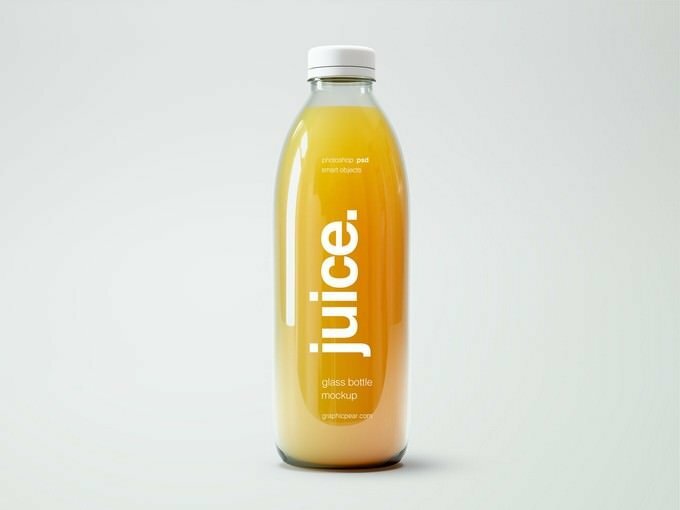 free fruit juice glass container mockup helping you to present your fruit juice packaging label design on a glass container. 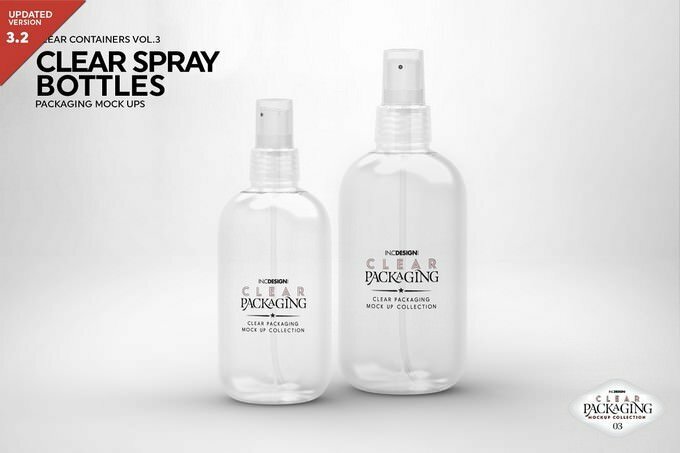 Designertale has been giving you packaging mock up PSD templates on a regular interval.